Day two of the comic. Last night we were at an Escape the Room, which you probably aren’t surprised by. I hope to have a review up later today at EscRoomAddict.com! Yes, I have a website devoted to reviewing escape rooms. Is that a word? I don’t even know. I should have looked it up. If I come up for the concert we are going to an escape room. And that would be a problem? Not at all! 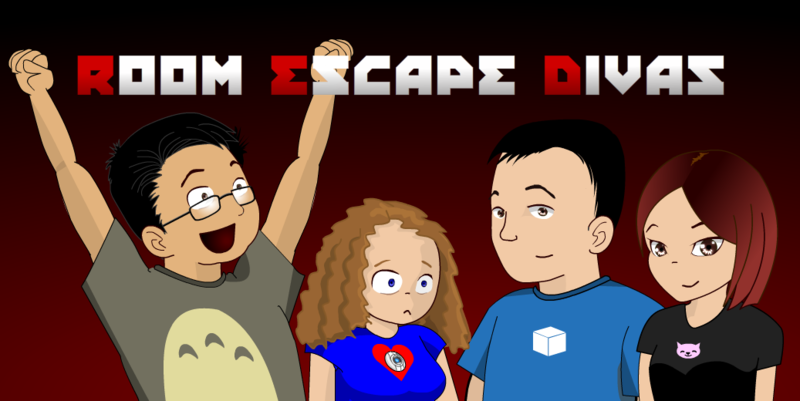 ^_^ Actually, I made one up for the escape room play Manda and I are writing! Escape room play? I should have known. You’re not trying to write a musical about escape rooms are you? Oh man, why didn’t I think of that? If “spicen” is not a word, then the English language just isn’t trying hard enough. It’s a word! I’m sure of it! I looked in 2 dictionaries. The word “spicen” does not appear. I’ve heard the term, but apparently it isn’t a word. Maybe it’s considered slang. You could use “spice up”. Sorry to burst your bubble, Errol! I knew what you meant, though. *laugh* Huzzah! I made a word!